NEW ORLEANS — The wait is over. 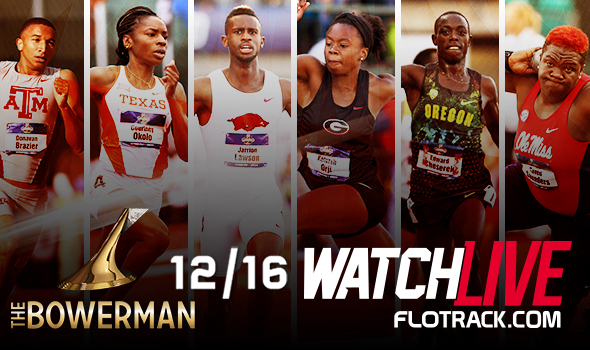 Today we’ll find out the winners of The Bowerman Award, the highest individual honor in collegiate track & field. You can watch The Bowerman Award Presentation — hosted by ESPN’s John Anderson — live and free of charge on FloTrack starting at 7 p.m. ET. But tune in at 6:15 p.m. for The Bowerman Award Arrival Party where you can watch the six finalists as well as former winners arrive and be interviewed by co-hosts Ryan Fenton and 2010 The Bowerman Award winner Queen Harrison. This is the 8th presentation of The Bowerman Award, which is considered to be The Heisman Trophy of collegiate track & field. The Bowerman Award was created in 2009 and the first presentation was actually at the Orlando Grande Lakes Resort, where it will be handed out tonight to the two special winners. The three finalists for the men’s award are Donavan Brazier, Edward Cheserek and Jarrion Lawson. The three finalists for the women’s award are Courtney Okolo, Keturah Orji and Raven Saunders. Be sure to check back on TheBowerman.org throughout the day for updates and watch the presentation live and free of charge on FloTrack tonight.